Big data analytics are entirely transforming business paradigms. Automated databases are enabling businesses to perform mundane tasks more efficiently. And, the commercial sector isn’t the only area to benefit from data analytics. Its impact is widespread and is being seen across many different sectors, including healthcare. Access to healthcare facilities is a basic, human need. However, the healthcare sector is extremely expensive, even when compared to the other developed economies. In the United States, the burden of the expense ultimately falls on the consumer since the sector is mostly dominated by private companies. America, however, ends up spending more on its public healthcare system than countries where the system is fully publicly funded. Under such circumstances where people are paying a significantly higher price, they deserve a service that matches the price tag. The question is then: how can data analytics help increase the efficiency of healthcare systems in the United States and around the world? Keeping a tab on hospital activities by maintaining relevant databases can help administrators find inefficiencies in service provision. Based on the results found from data analysis, specific actions can be taken to reduce the overall costs of a healthcare facility. Reduced costs may be reflected in the form of reduced expense burden on the consumers of those healthcare facilities. According to U.S News and World Report, Beaufort Memorial Hospital in South Carolina found that they could save approximately $435,000 annually by implementing a simple act of discharging patients half a day early. Hospital administration didn’t just make a random decision. They reached their conclusion after carefully analyzing the data. Such is the scope of data analytics in the field of healthcare. We have already established the idea that by incorporating analytics in healthcare systems we can improve the efficiency of the organization in terms of administrative tasks. However, the core objective of a healthcare facility is to cater to the needs of patients. Data analytics has not only proven to be beneficial for the mundane tasks related to administration but also to have a positive impact on a patient’s overall experience. By maintaining a database of patients’ records and medical histories a hospital facility can cut down the cost of unnecessary, repetitive processes. In addition, analytics can help in keeping an updated record of a patient’s health. 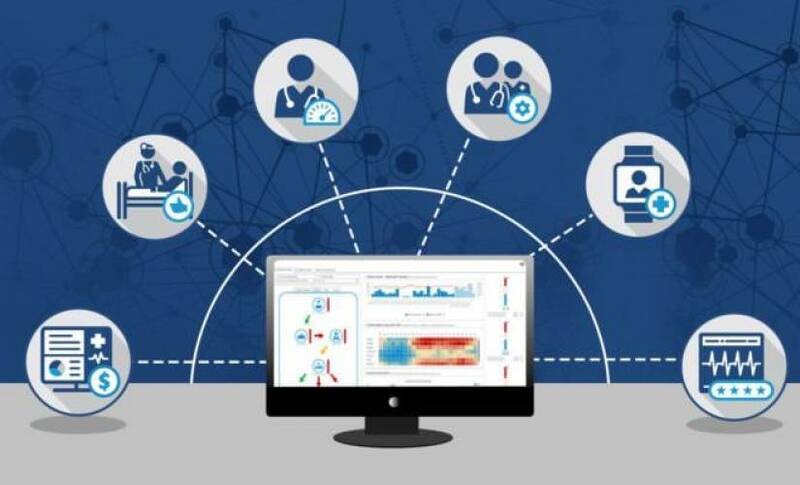 With the adoption of more advanced analytics techniques, healthcare facilities can even remind patients to maintain a healthy lifestyle and provide lifestyle choices based on their medical conditions. After all, the whole purpose of introducing digital technology in the health sector is to make sure that people are getting the best facilities at a subsidized cost. Automating the processes can help healthcare organizations to obtain useful metrics about the population. It can reveal information such as if a certain segment of the population is more prone to a certain disease. 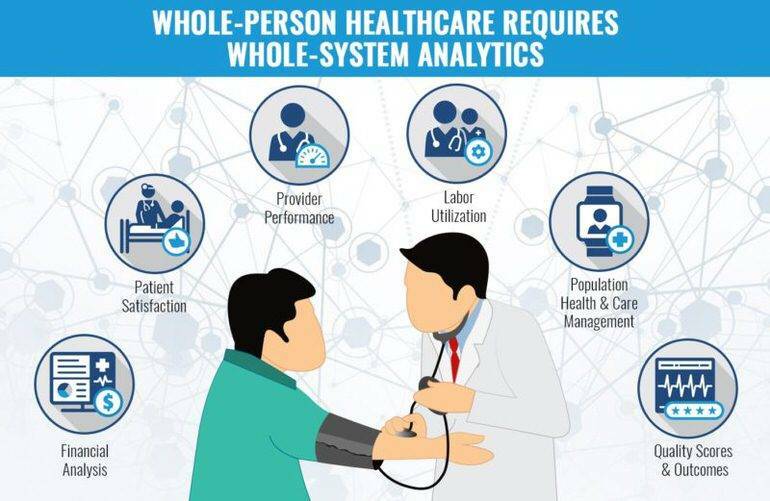 Moreover, if a healthcare facility is operated in multiple units, analytics can prove beneficial to ensure the consistency across all facilities and specific departments. For example, Blue Cross of Idaho used Pyramid Analytics BI office to create a population health program. The results were evident in the form of reduced ER visits and emergency cases. Under certain circumstances, a patient requires consultation from various specialists. Analytics can play a significant role in filling the communication gaps between consultants in such situations. It is important for each of the consultants to coordinate for the patient’s quick recovery. However, owing to the busy schedules of the consultants most of the time it proves to be very inconvenient for them to communicate. Digitalizing can solve the problem by providing a communication medium where patients data, medical history, and current progress can be stored and reviewed by each individual working on that case. By keeping a continuous check on patients’ health, cases of readmission can also be greatly reduced. A regional medical center can employ analytics to strategically classify patients based on their quality scores and allocate maximum resources to patients most at risk. In addition to the patients’ data, hospitals and healthcare facilities can also store staff’s data. They can observe staff performance and find any loopholes or inefficiencies in the system. Based on the results, they can arrange that staff is divided strategically across departments. Some healthcare units call for more staff than others. Failure to understand the organization’s requirements will lead to a loss for both stakeholders. 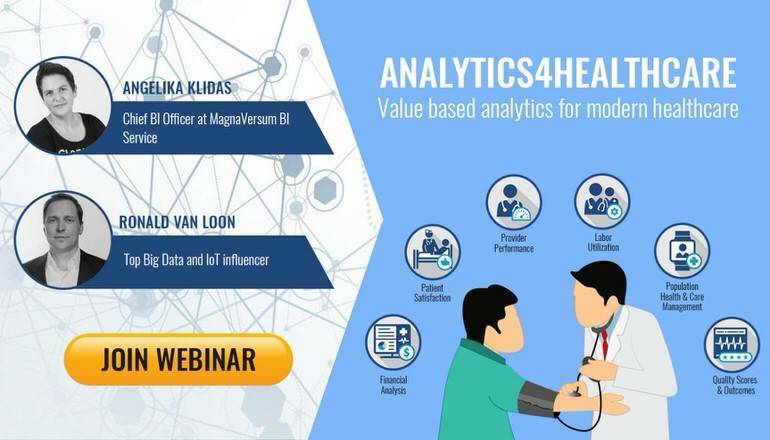 If you are interested in learning more about how data analytics will transform the healthcare systems in the United States and across the world, then join the Pyramid Analytics webinar hosted by Ronald van Loon and Angelika Klidas. For more interesting insights about Big Data Analytics follow me on Linkedin and Twitter.